Landscaping has never been easier than with the Greenworks Pro 80V Max System. With a range of commercial grade tools for professionals and those who just want more power, this is the highest voltage in the industry. 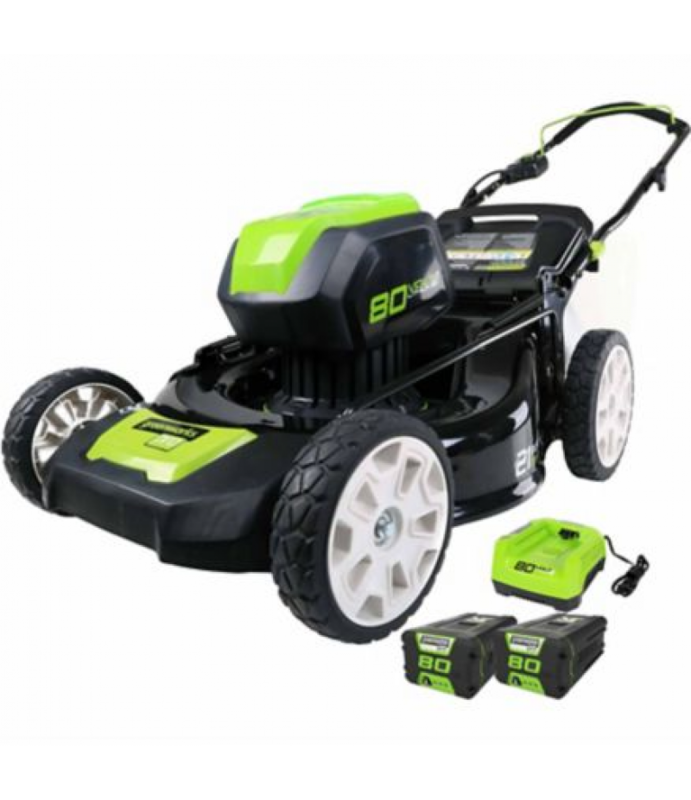 Whether it's ..
Landscaping has never been easier than with the Greenworks Pro 80V Max System. With a range of commercial grade tools for professionals and those who just want more power, this is the highest voltage in the industry. Whether it's mowing during the early morning or late evening, this Greenworks Pro 80V 21 in. Cordless Lawnmower will be appreciated in the neighborhood. Maximum Deck Height: 3-3/4 in. Minimum Deck Height: 1-1/4 in.